I'm not sure if this is an actually black beauty or not, but it somewhat looks like one. 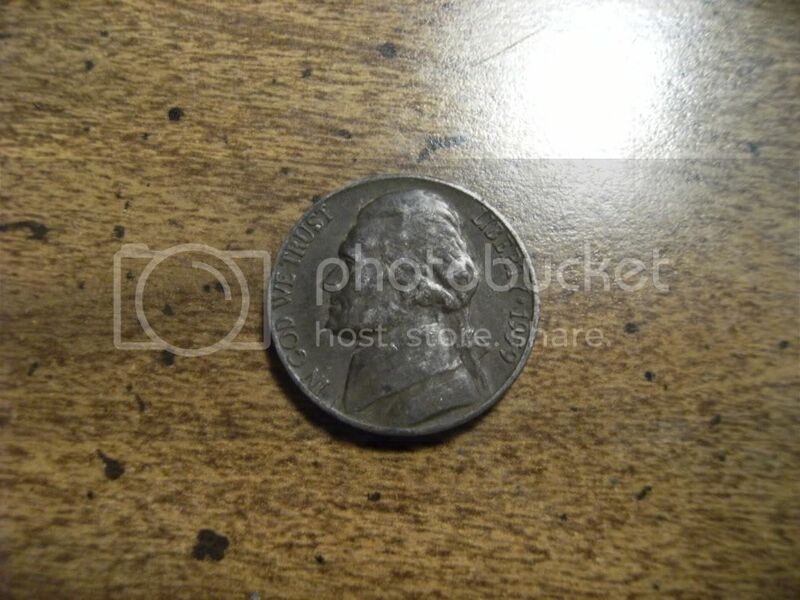 This is one area of mint error collecting I need to research more, so I can't say much about this nickel. Well, how about these ? Sounds like they fit the criteria. Found both in my Pepsi machine one day and they didn't look tampered with so I saved them. Are they of any collector value or just cool ? If authenticated and attributed by PCGS or NGC they do have more value, but I can't be more specific. Yes it seems getting it authenticated it the only way to know for sure with something like this. 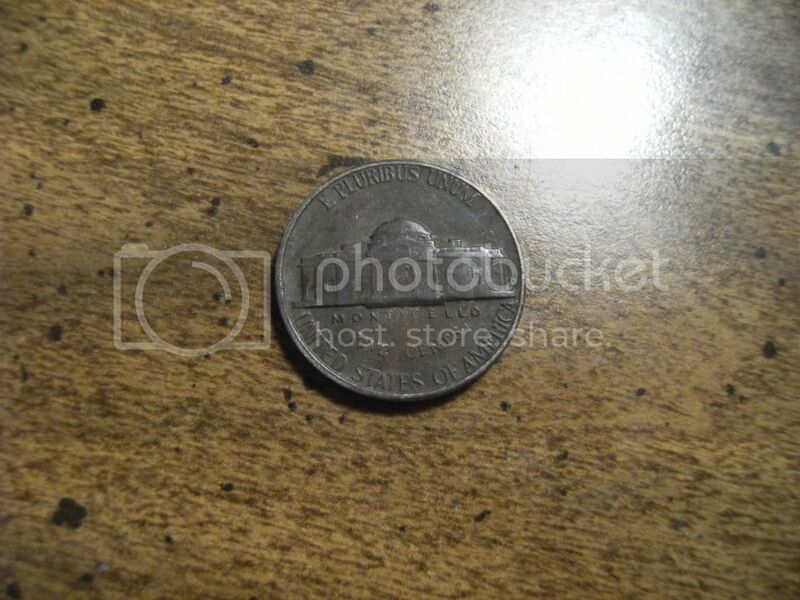 Understandably there are no accurate numbers as to the amount of them produced and it seems in the late 50's the Mint must have gotten lazy and stopped changing the cleaning solution making bunches of these. The one on the right in your photo looks identical to the one my cousin has. To make things more difficult and annoying there seems to be several ways to make similar looking coins manually. Looks like there are a bunch of ways to electroplate them in different solutions and read some people for whatever reason do something called "bluing" which I had never heard of and seems is mainly used guns to coat and protect the underlying metal a black/gray look. In general I'd say until officially authenticated it could be anything. I they can go for a few hundred dollars more or less depending on the condition but doubt anyone would buy one not slabbed/certified anyway....unless it for real cheap. Update on the nickels I posted above. I sent one to ANACS and requested a variety attribution of sintered planchet.I recieved an email notifying me that it was graded as MS63, but no mention of the variety or problems. Does that seem possible ? I should recieve the actual coins shortly but it sure has me puzzled. ANACS has done that to me also in the past. They email and give the grade but no variety and you don't know until it comes back. It will be interesting to see if they have the variety on the case. Let us know.